Though no explosives were found, investigators considered the possibility that the men might be conducting a test run for a terrorist attack, officials said. By Tuesday, that possibility was all but ruled out. Neither man was on any terror watch list or had any known history of militancy. A search of Mr. Soofi by airport security screeners in Birmingham, Ala., as he waited to board a flight to Chicago on Sunday found that he was carrying $7,000 in cash and that his luggage contained a cellphone taped to a bottle of Pepto-Bismol, three cellphones taped together and several watches taped together, officials said. The bag also contained pill bottles, a box cutter and three large knives, according to an internal Transportation Security Administration report. My favorite part was, “Neither man … had any known history of militancy.” They are followers of a militant ideology that teaches its followers to kill infidels. How stupid are we? “Two men taken off a Chicago-to-Amsterdam United Airlines flight in the Netherlands have been charged by Dutch police with “preparation of a terrorist attack,” U.S. law enforcement officials tell ABC News. Detroit, Michigan, folks. What else is in Detroit, Michigan? More and more “homegrown” terrorists are going to be in the news, mark my words. And remember: it’s not a phobia if the threat is real. “Congressional Budget Office numbers show that the total cost of the eight-year war was less than the stimulus bill passed by the Democratic-led Congress in 2009. 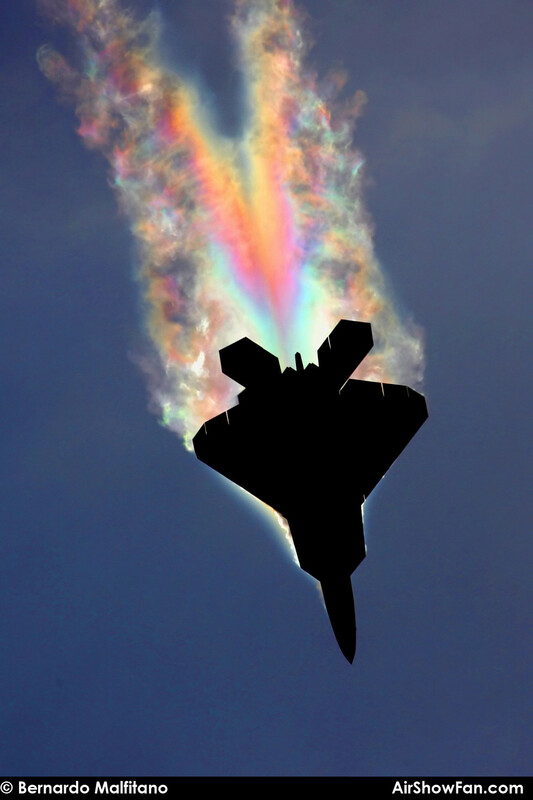 Image courtesy General Atomics. An artist's rendition of Predator B, the unmanned aerial drone patrolling the US-Mexico border for human and drug trafficking, and other threats. Beginning this Wednesday, the entire 2,000 miles of border between the United States and Mexico will be patrolled by unmanned aerial drones. Three drones are already patrolling portions of that border, and a fourth Predator begins operations tomorrow out of Corpus Christi, TX, completing the full stretch of la frontera. At least eight people were killed Tuesday when a group of men tossed Molotov cocktails into a bar in the tourist friendly Mexican town of Cancun, officials said. Authorities said six to eight men entered the Castillo de Mar bar and threw homemade bombs, killing six women and two men who were inside. Investigators said they do not know of a motive for the attack, but the bar was reportedly the victim of two extortion attempts, allegedly by the Zetas drug cartel. “The death of eight people is confirmed. Six on site — including four women — and two others in hospital, also women,” prosecutor Francisco Alor Quezada, from the southeastern state of Quintana Roo, told AFP. Mexican President Calderon’s proposed plan to battle cash smuggling and money laundering. “MEXICO CITY – President Felipe Calderon proposed sweeping new measures Thursday to crack down on the cash smuggling and money laundering that allow Mexican cartels to use billions in U.S. drug profits to enrich their criminal organizations. “LAREDO, TEX. – Stashing cash in spare tires, engine transmissions and truckloads of baby diapers, couriers for Mexican drug cartels are moving tens of billions of dollars in profits south across the border each year, a river of dirty money that has overwhelmed U.S. and Mexican customs agents. 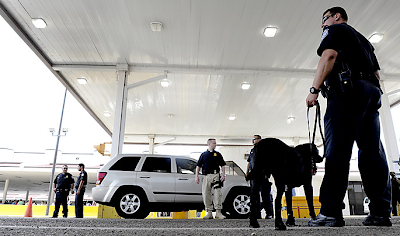 Officials said stemming the flow of this cash is essential if Mexico and the United States hope to disrupt powerful transnational criminal organizations that are using their wealth to corrupt, terrorize and kill. Despite unprecedented efforts to thwart the traffickers, U.S. and Mexican authorities are seizing no more than 1 percent of the cash, according to an analysis by The Washington Post based on figures provided by the two governments. “Organized crime in Mexico today did not form itself in a vacuum, its structure originates from the police and security forces of the Mexican State. That is why this drug war is so bloody and extends to all levels of government and society. Over the past 30 years, corruption, impunity and the political and discretionary application of justice converted every police officer and every public safety agency into a criminal entity. Whether willing or otherwise, every Mexican police officer, every ministerial (investigative) official, to survive as such, had to break the law and abide by the codes of special privileges granted by the ruling political power, the PRI. The Rock River Arms PDS Pistol is the first of a new generation of firearms employing Rock River Arms’ patent-pending Piston Driven System (PDS). 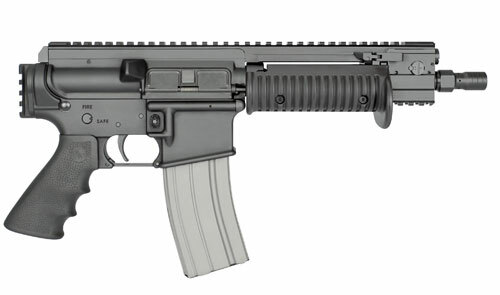 Utilizing a purpose-designed bolt carrier, an adjustable gas piston and an over-the-barrel spring and guide rod arrangement, the Rock River Arms PDS is able to completely eliminate the traditional recoil system associated with AR-style firearms, making for an extremely versatile weapon platform. The design of the upper receiver and guide rod base prevents gas blow-by to the back of the receiver. The two position adjustable regulator is conveniently positioned on the right side of the regulator housing. The New PDS Pistol has a full length top mounting rail from the rear of the receiver to the regulator housing, allowing flexible placement of numerous optics, lights, lasers and other accessories. The folding ambidextrous, non-reciprocating charging handles may be used independently or in unison to charge the RRA PDS Pistol. The RRA PDS Pistol features a MS1913 rail on the rear receiver adaptor as well as an MS1913 rail on the regulator housing which allows sling or weapons mounting capabilities. The handguard features an integral Operator Safety Flange to help prevent support-hand movement/slippage towards the muzzle. “In the summer of 2006, Maj. Walt Cooper was convinced that his Special Forces team’s work was only contributing to the violence spiraling out of control in Baghdad. Cooper and his soldiers were training a police battalion that took orders from a radical Shiite militia. “We know that the guys we train are some of the same dudes who are putting bullets in the back of people’s heads or going to work on them with power drills,” he wrote in a July 2006 e-mail home. As the months passed, his cynicism and anger grew. “This place is now rotten to the core,” he concluded. Border Patrol Agents arrested 2,788 from October 2005 through last September – on the Canadian Border. 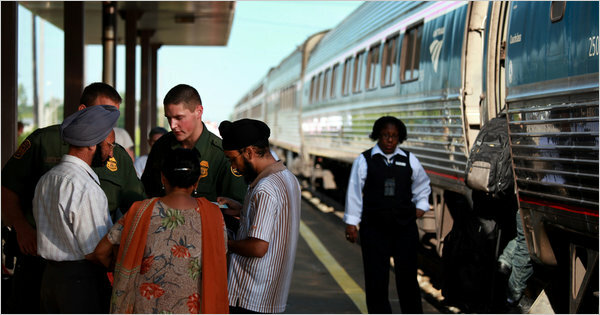 Todd Heisler/The New York Times Border Patrol agents in the north routinely board Greyhound buses and Amtrak trains to check the immigration status of riders. ROCHESTER — “The Lake Shore Limited runs between Chicago and New York City without crossing the Canadian border. But when it stops at Amtrak stations in western New York State, armed Border Patrol agents routinely board the train, question passengers about their citizenship and take away noncitizens who cannot produce satisfactory immigration papers. Three bodies found among the trash along a road in "Curvas del Perico" executed with multiple gunshots to the head. 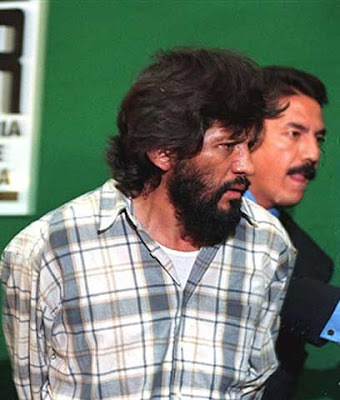 “Around-the-clock executions, routine kidnappings, burnings of rural homes, hangings of murder victims from overpasses, scatterings of body parts on public streets, a car bomb, and threats of more violence have all put Ciudad Juarez and the state of Chihuahua on extreme edge. A Mexican federal police officer frisks a man during an anti-narcotics operation in Michoacan. “Mexico City, Mexico (CNN) — About 3,200 Mexican federal police have been fired since May for failing to do their work or being linked to corruption, Federal Police Commissioner Facundo Rosas said Monday. Of those, 465 have been charged with crimes.